Folding this seemingly complicated 12 decagons modular origami is quite hard if you don't know the principles of doing it right. 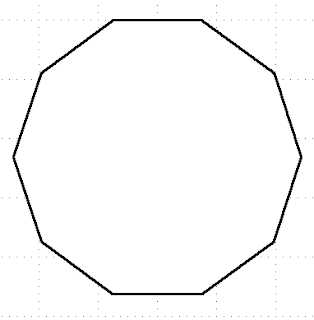 We know from Math that Decagon means polygon with ten sides. Okay, you'll not gonna do math computation today. 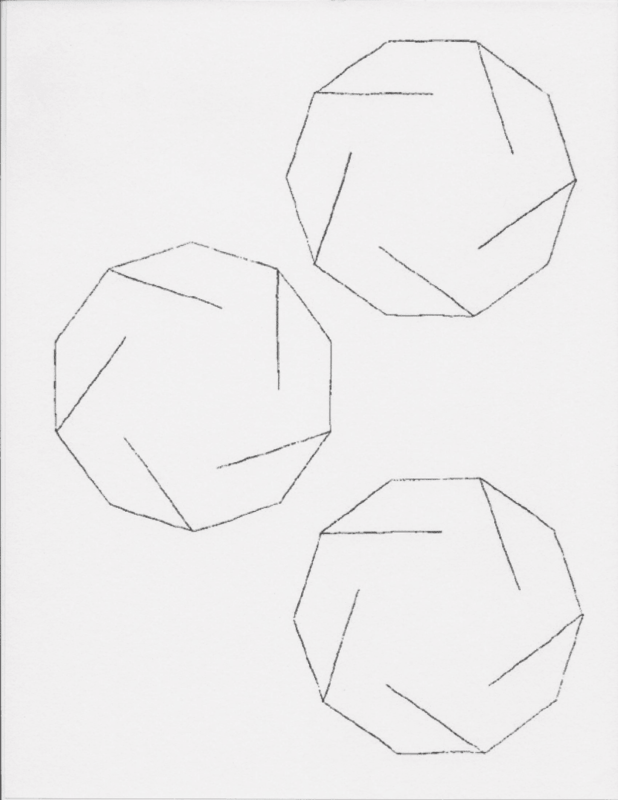 Here I want to share this awesome mathematical shapes. I am planning to teach to my students and give it as project to them. 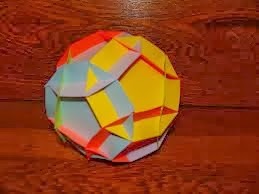 Note this is Modular Origami not a normal origami so we will be using more than one piece of paper. Though cutting and pasting is prohibited in modular origami here in this project we will using cutting method. Note: You may use different sizes and color of papers, according to your own preferences. 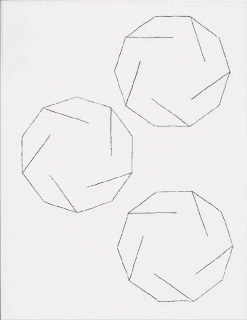 Note: If you can't dram perfect Decagon using manual drawing you can use Microsoft word and use shape tools to draw and print. Step 2: Refer to this diagram below and Follow Accurately the lines being drawn. The line represents your cutting line. Note: You can differ the length of cutting line. that line will determine the size of your decagon. Make sure that all slice line are all same in length in each decagon. Step 3: Manually Inserting all Decagons According to its cutted sides like this photo below.